Instrumental lessons- Exciting news for budding musicians. 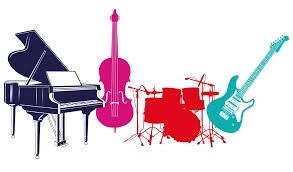 Home » News » Instrumental lessons- Exciting news for budding musicians. INSTRUMENTAL LESSONS- EXCITING NEWS FOR ALL BUDDING MUSICIANS! The school has just teamed up with Music Generation Offaly. They will be offering instrumental lessons in the school at highly subsidised rates. Lessons can be provided for a wide range of instruments ( eg. Guitar, Drums, Flute, Violin etc.) and there is also the opportunity to rent out instruments on a trial basis. Any students interested should talk to Ms. Finlan or Ms. Kavanagh in the Music Department for more information. Music Generation Offaly are also organising a series of singing workshops for young people in co. Offaly. These workshops will culminate in a choral performance in June 2016. Any students interested in taking part can get an application form from Ms Finlan or Ms. Kavanagh.